Send out invites suited for every occasion. Print invitations that will make every client or partner feel extra special. It reminds loyal customers why they did business with you in the first place. 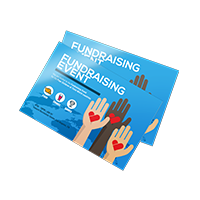 These invitations are also an opportunity to reach potential new clients in your target area. 10 pt. cardstock is a lightweight, flexible material that can have matte, gloss, or high gloss UV on both sides. 16 pt. cardstock is the thickest material available, allowing for a matte or gloss surface on both sides. 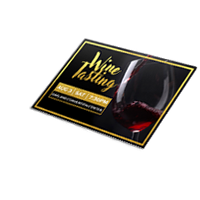 If your company is sending invites to high-end clients and VIP partners or launching a luxury product, then print on a foil or silk invitation. They’re also perfect for wedding invitations. 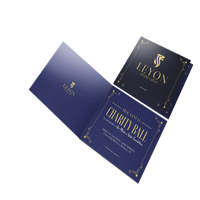 These premium printing options give your design a posh yet elegant appearance that instantly distinguishes your invite from the rest. Silk invitations are printed on water and tear- resistant material. They come in both flat and folded sizes that match our optional envelopes. Printed on durable 16 pt. cardstock, you can also add spot UV coating on selected areas. Foil invitations come with luxurious gold, copper or silver accents printed on either standard 14 pt. cardstock or silk laminated 16 pt. cardstock that is water and tear resistant. Print invitations today and have your custom design ready in 1 or 2 business days. For any specific concerns, our print experts will readily accommodate your questions and clarifications.